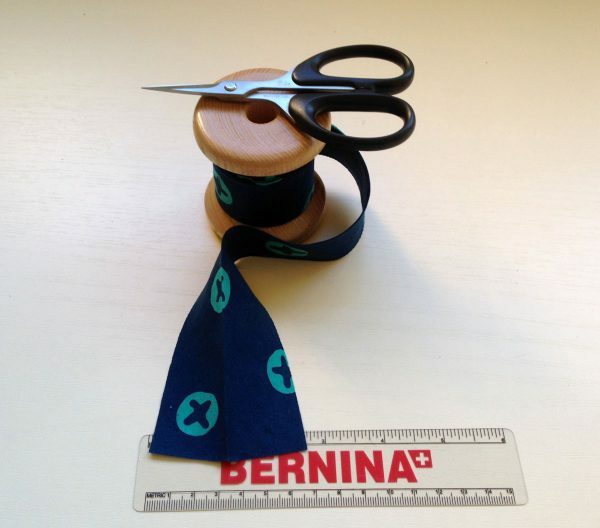 Quilter, author, and BERNINA Ambassador Annie Smith shares a quick quilt binding tip! When trying to man-handle the bulk of sewing the binding on a quilt, I like to use the Walking foot # 50. A plain presser foot just presses the bulk down and sometimes creates a pulled look, or even makes little tucks on the front of the quilt under the seam of the binding. “No Bueno,” as my son would say. The Walking foot #50 has little feet that “walk” on the top of the fabric in tandem with the feed dogs. The “walking” action helps feed the top layer of fabric through the sewing machine at the same rate as the bottom layer, avoiding those tucks and puckers. Several years ago, I began using the Walking foot # 50 to handle all of the bulk. 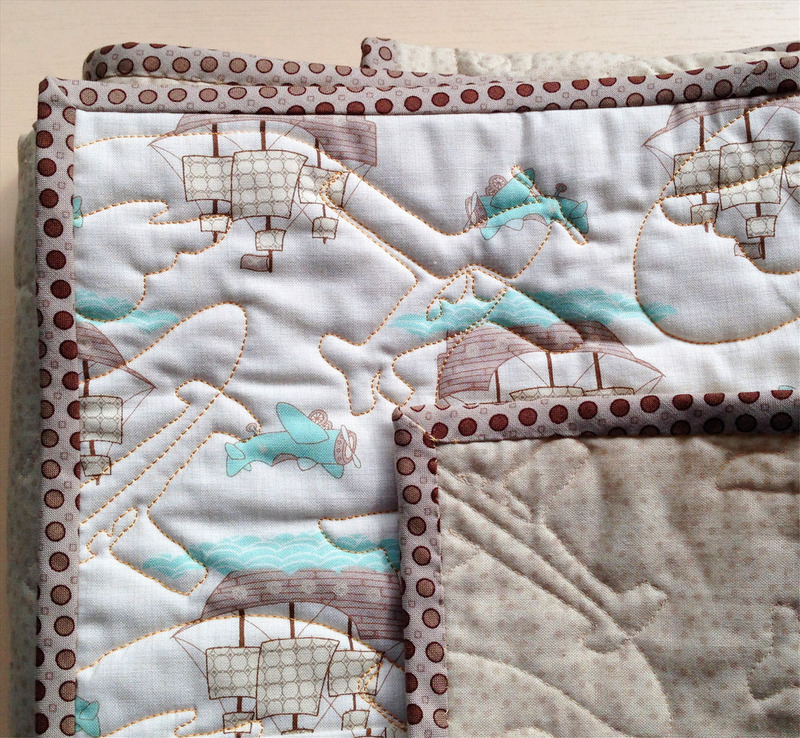 It works beautifully and I have a nice smooth quilt under the binding seam. Now that I’m using a BERNINA 830, I have the option to use the Dual Feed system—which applies a similar principle as a Walking foot! The Dual Feed acts like a little extra finger at the back of the presser foot, giving the top layer of fabric an extra pull as you stitch. 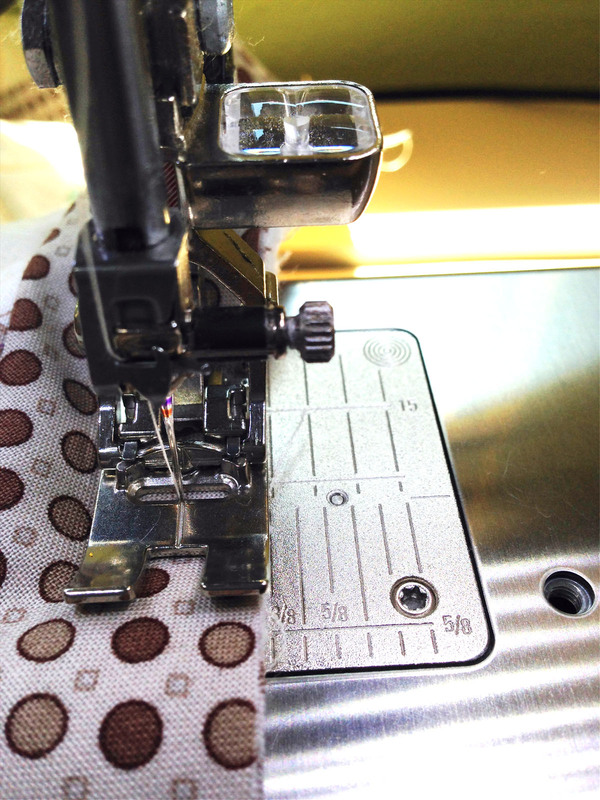 The Dual Feed helps the top layer of fabric move steadily along as you sew. I like to have a finished binding that is just a little bit wider than one-quarter inch. It just seems to me that a quilt that is twin through king size needs a meatier binding. In the past years, I have graduated to using a wider binding on every quilt I make merely because I like the look of it—not only my own quilts, but on the quilts that I see at quilt shows and on display too. Every binding I make is bias double-fold binding. I cut my strips at 2 ¾” and then press the binding in half. The new width of my folded binding is 1 5/16″, which is an odd size. But, if I sew an accurate 3/8″ seam on the front of my quilt, my binding folds over to the back and just covers my seam line perfectly. The Reverse pattern foot #1/#1C/#1D gives me that perfect 3/8″ seam allowance from the center notch to the edge of the foot! (This is true when using the Reverse pattern foot #1C/#1D made for BERNINA machines with a 9 mm stitch width. 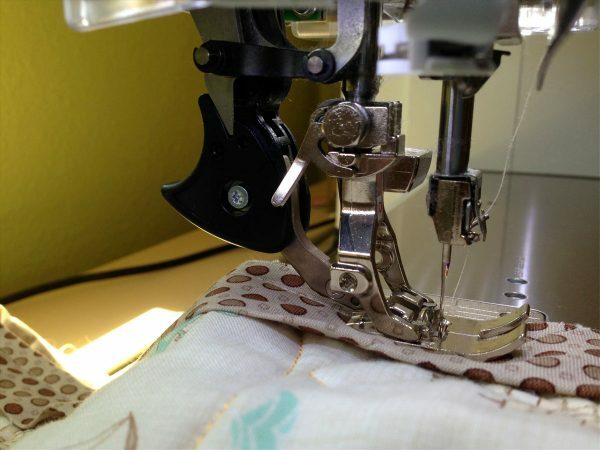 The feet made for BERNINA machines with a 5 mm stitch width are not as wide, and will not give you that perfect 3/8″ stitch.) If I use the Walking foot, it’s a little trickier to find the perfect 3/8″ seam on the sole plate. I love the Reverse pattern #1D foot especially because it works in concert with the Dual Feed. 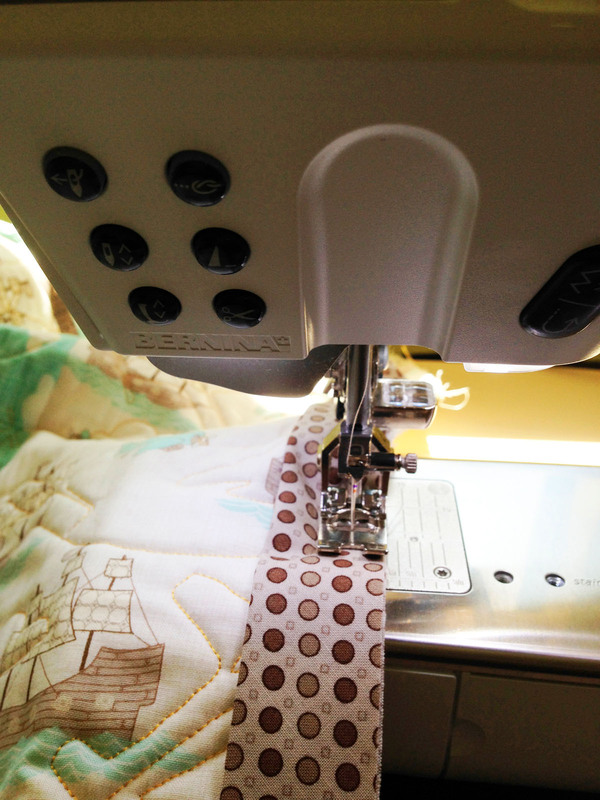 The Dual Feed works similar to the Walking Foot, to handle all of the bulk of my quilt plus sewing the binding on nice and smooth. 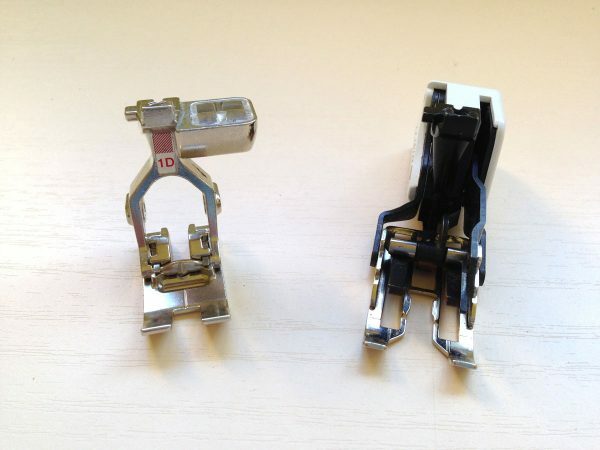 The Reverse pattern foot #1D with Dual Feed engaged makes sewing quilt binding so much easier and neater. And we all know how important a beautiful binding is for our finished quilt! *Binding spool was made by Richard Cox, Chapel Hill, NC. Can you comment what one would do if you sewed the binding on completely by machine. Hi — and thanks for your question. There are a few options for success with completely machine-stitched binding. The Lap Seam foot #71 page 182 The Big Book of Feet — allows the foot to hold the binding in place on top of the quilt. The Binder attachment #88, page 198 TBBoF — folds your bias binding as it sews the binding to edge of your quilt. The Binder attachment has a width limitation, however. (I prefer a wider, 3/8″, binding — but that’s just my preference). The Edgestitch foot 10/D, page 51 TBBoF would allow you to stitch in the ditch as close to your binding edge as possible — handling the bulk of the quilt using the Dual Feed system. It would also help you to stitch straight while catching the edge of the binding completely, to the back of the quilt. That’s the most challenging part of machine stitching binding! The Edgestitch foot would be my choice of solutions, taking into consideration the point of my blogpost — which is managing the bulk of the quilt when stitching. Thanks, Annie for the binding help and the additional options for an all machine binding. Happy quilting to you too. Question about the size of the binding once it is ironed in half: how does it become 1- 5/16″ and not 1- 3/8″ (or 1- 6/16″)? Isn’t 1- 3/8″ one half of 2- 3/4″? or are you counting that some of the binding is taken up in folding over the seam stitching and over the edge of the quilt? I do absolutely count the thickness of the quilt in the measurement of the width of the folded binding. It takes roughly 1/8″ – 3/16″ in thickness to turn that edge. To make sure that I have my binding seam in the front as accurate as possible, I actually press the binding with an iron before I fold it over the back and clip the edge in place before hand sewing. It helps to make the corner miters flatter too.